The fast and easy way to send a newsletter for free! Send out up to 400 personalized emails per day* with our completely free software and inform your network, your customers, club members or your relatives about latest news, new products or special offers. The creation of serial mails by using the integrated and comprehensive HTML editor will be a child's play. Already existing serial letter templates can be easily taken over, as SmartSerialMail supports an import from MS Word, text or HTML files. A selection of HTML templates is included in SmartSerialMail Free. The colors of each template can be customized freely. 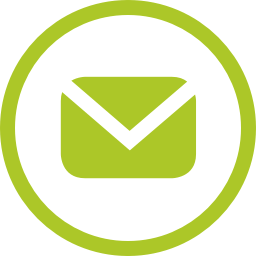 Your recipient's personal data, which will be collected by SmartSerialMail in an email list with up to 200 addresses*, remain completely under your own control at any time. You will never need to upload it to an external server. Unlike Internet-based solutions SmartSerialMail is completely in accordance with most data protection regulations, as no sensitive data needs to be passed on to e.g. a third party. Please note that you will not be able to send email attachments with SmartSerialMail Free. Depending on your individual needs, e.g. in terms of sophisticated newsletter using individual attachments for each recipient or for more complex marketing campaigns, SmartSerialMail is also available as a SmallBusiness and Enterprise Edition.